Sorry, no listings are available. Try a different search to see listings. Sorry, we couldn't find any listings that matched your search criteria. You might be interested in these listings for similar cars. Sorry, we couldn't find any local listings that matched your search criteria. Here are Nationwide listings for a . Here are our listings for all model years of the . Sorry, we couldn't find any Victor Auto Group listings that matched your search criteria. You might be interested in these similar years for . Oops! You filtered out all of the available listings. Adjust your filters, or perform a new search to see more listings. Email me price drops and new listings for these results. A large number of listings matched your criteria. You are seeing the top 2,000 listings. Please verify the email or phone number you used to contact this dealer on CarGurus. One message per user request. Text HELP to 64142 for help. Text STOP to 64142 to block. This consent is not required to buy goods and services. A verification code has been sent to you. Enter it below to continue. I recently purchased a used Honda Odyssey from Victor Auto Group. It was the easiest car buying experience I've ever had. Bill was quick to respond every time I sent a message, answered all my questions about the van honestly (told me he didn't know when he didn't know), and was very accommodating for me coming to see the van (willing to come in early) and picking it up outside of normal business hours, as I live over 100 miles away. 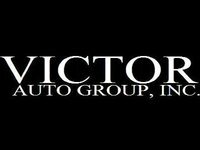 I highly recommend Victor Auto Group and would definitely do business with them again. Bill is a great guy, great easy buying experience, immaculate show room. Would definitely purchase from Victor Auto Group again. Thank you. Great experience at victor auto group! Bill was great and was able to get me financing at a whole percentage point lower than my own bank would give me. The car was so clean that it looked like it had never been outside! Everything was exactly as described, I have over a thousand miles on it now and it’s perfect. I live 6 hours one way from here but I will definitely be checking Bill’s inventory when I’m ready to purchase another vehicle. Thank you! Bill is a great guy, knowledgeable about cars, honest and hardworking! Keeps his cars clean and only buys them in good condition. Speak to him on the phone and he will answer any questions and get you your vehicle at a great price! I've been searching CarGurus for the past year looking for the perfect car at a fair price. Luckily I found that car at Victor Auto Group. The time they take to detail their cars and take high quality photos really lead me to venture a little further to visit their location. When I arrived the car was just as nice as in the photos. Bill worked with me on my trade-in and got it to where I felt comfortable. He also stayed over two hours past closing to ensure I was able to drive the car away that day. If you're tired of the traditional car buying experience I would highly recommend checking this dealer out. I purchased a Grand Cherokee Altitude in late December from Bill at Victor Auto. This was one of the best and hassle free vehicle purchases I've ever had. Bill knows his vehicles and was very helpful through the decision process. His vehicles are immaculate, they are as they appear on the his website. I traveled in from out of state to purchase the vehicle, it was worth the trip. I would buy again from Bill when the time comes to upgrade. Thanks Bill! Our contact with this dealer was the best car buying experience we have ever had. We ended up purchasing a 14' Grand Cherokee from them. The car was immaculate when we came to look at it. I am talking the interior, exterior, and even the engine bay. The dealer is a small place off in a warehouse area, but they have a handful of cars that they have really cleaned up to choose from. We got to the place around 2pm and immediately went to test drive the car we were looking at. Bill took our car for the trade in for a drive as well. Upon coming back we felt the asking price was excellent so we sat down right away do deal. After going back and forth with the pleasantries of negotiating we all agreed upon the purchase price, trade in value, extended warranty, and finance terms. There was almost no pressure on anything and he was willing to answer any question that we had. The entire process took us an hour and forty five minutes and that was us leaving the parking lot with a new vehicle. It probably would have been shorter if Ally auto would have responded quickly for financing. Again this was the best experience we have ever had and will recommend this place to everyone. I drove an hour and a half to get to this place based on the reviews and the cars they have and it was worth every minute. By far the best car buying experience I have been through. Bill was knowledgeable and helpful and you could tell the difference immediately between his business and the many other dealerships I visited during my search. I would highly recommend using Victor Auto in the future, if they don't have exactly what you are looking for, Bill would go out of his way to find it and get you the best price and service you'll find. Victor Auto Group has excellent quality cars. The Owner was quick to respond back and was professional, honest and made the buying process straight forward. I walked away with a great car thru a simply buying experience. Bill was a pleasure to work with, made the whole process simple and quick! Worked with me on my trade in and financing for my new car, I'm very happy. Will definitely reach out to Victor Auto before I buy another vehicle. Working with Bill at Victor Auto Group was one of the best car buying experiences i've ever had. He was up front with the information and vehicle facts while I was debating on buying my new Jeep. Great business to work with if you're in the market. I would highly recommend using this dealer. 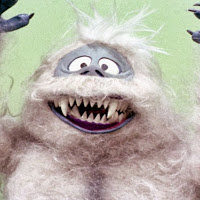 I sent my wife to look at a car she wanted and he was not what you usually expect when dealing with a used car salesman. He didn't pressure her at all and made her feel very comfortable. Bill is a great guy! It was a pleasure doing business with Victor Auto Group's owner, Bill. He ensured our buying experience was enjoyable and hassle free. We are very satisfied with our purchase and highly recommend Victor Auto Group. Their service is unmatched. I'd recommend this dealer to anyone in the market for a nice car. He keeps all his vehicles indoors and they all looked great. Very easy to work with and you deal directly with the owner. Honest and straightforward. Bill was very accommodating and easy to work with. Car was very clean and well documented. Purchase went smoothly. An overall pleasant car buying experience! Excellent and professional dealer all around. Bill answered all my questions and made the buying process very simple. Quick response from sales rep.
Victor Auto Group was responsive and sincerely interested in assisting me, the customer, achieving my goals. Bought a Jeep Wrangler from Victor Auto Group. Bill was very helpful and there was no pressure to buy. The condition of the Jeep exceeded my expectations and the price was better than all the other dealers. He had me financed in 10 minutes at a great interest rate! This was probably my best car buying experience yet. Very easy to work with!